Here are the latest plans for the proposed park improvements along the river and a view of the model with different development options. Click here to view a seven minute video explanation of the model. Community input remains at the heart of reshaping downtown Basalt. People of all ages and from all walks of life have contributed their ideas of how Basalt should look in the future. The results of this public input process are being used to create an action plan reflecting the community’s vision. Pitkin County Healthy Rivers is conducting a public process to determine stream-side amenities for the Recreational In-channel Diversion (RICD) structures. Click here to see a slideshow presentation (4MB) from February 2016. River Restoration has produced maps for the Town of Basalt showing existing conditions, opportunities and constraints at various places along the rivers from Hooks Bridge to Wingo. See the maps here. For a basic area map that corresponds to the detailed map figures click here. Click on the “Current Ideas” button on the right to find more information on current thinking, upcoming meetings and how to provide input. The idea was to listen, learn, and share ideas, concerns and visions – all through a constructive, civil dialogue. See the Chat Session Meeting Notes. Self-discover and clarify Basalt’s important character values and goals. Envision the ideal characteristics. See prior “Our Town” Drawings. View video from the Summary Findings Meeting. 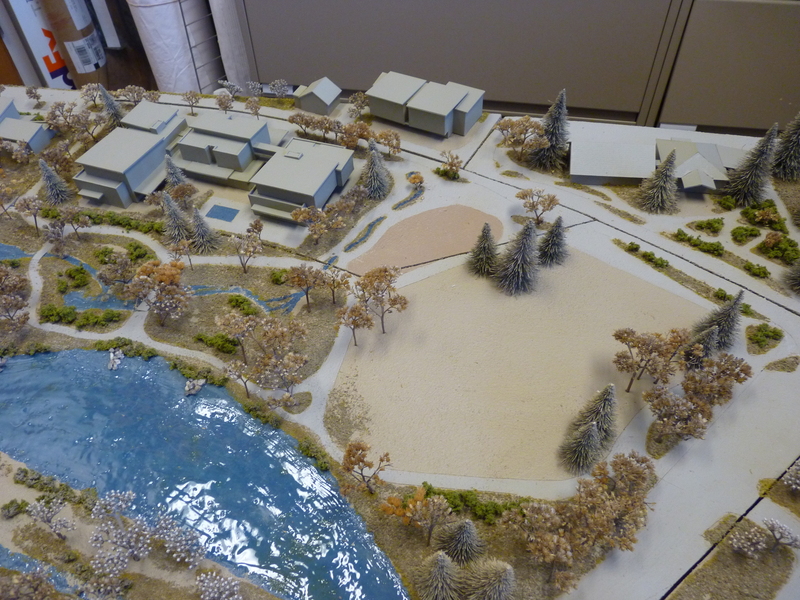 Ideas about Basalt’s future were gathered in 18 chat sessions, numerous stakeholder group and public meetings, and through 300+ maps and drawings submitted to the Town earlier this year. This process generated around 3,000 ideas which were subsequently synthesized into three different options. A vote was conducted and Option Two of the proposed site plan scenarios was chosen by the majority of voters in a June survey. Option Two was used as the basis for further discussions regarding specific uses on the Pan and Fork, Clark’s Market, and Lions Park properties. You can read how Basalt’s informal networks contributed to this initial effort in the Our Town Planning Report generated by JKA Group. This ongoing process moved from the “visioning” stage to “narrowing down the possibilities” with the appointment of members to the Downtown Area Advisory Committee (DAAC) and the commissioning of a town-wide survey, findings of which are available via a link in the footer. The DAAC members met from October to December 2014 to refine the community’s earlier work. The result is presented in the final DAAC Report and the concept map seen below. 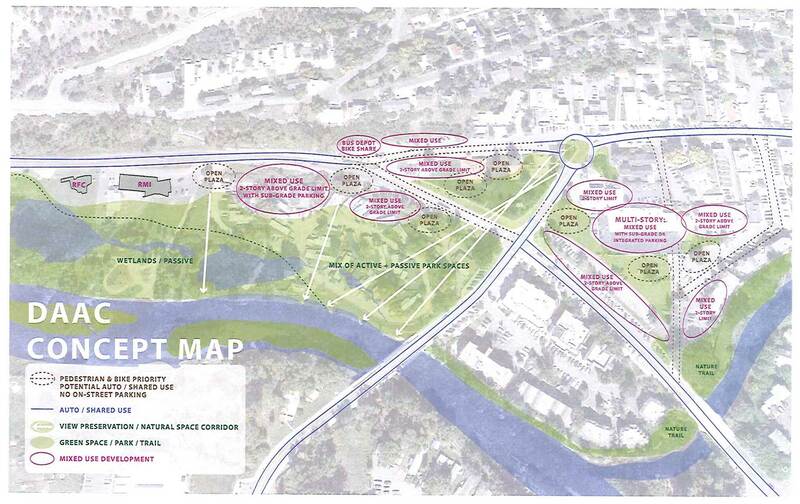 The 3,000 ideas generated by the community were synthesized into three Site Plan alternatives. The community then voted for the site plan that most represented what they would like to see in Downtown Basalt. See the Ballot Results. The next step was for DAAC to hold meetings in order to prepare their recommendations to the Basalt Town Council. Click here to review DAAC’s report to the Town Council (3.57 MB download). 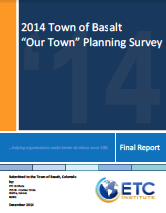 The Town conducted a second survey to clarify the findings of the June 2014 Our Town Planning survey. At the bottom of the website there is a link to the survey report. 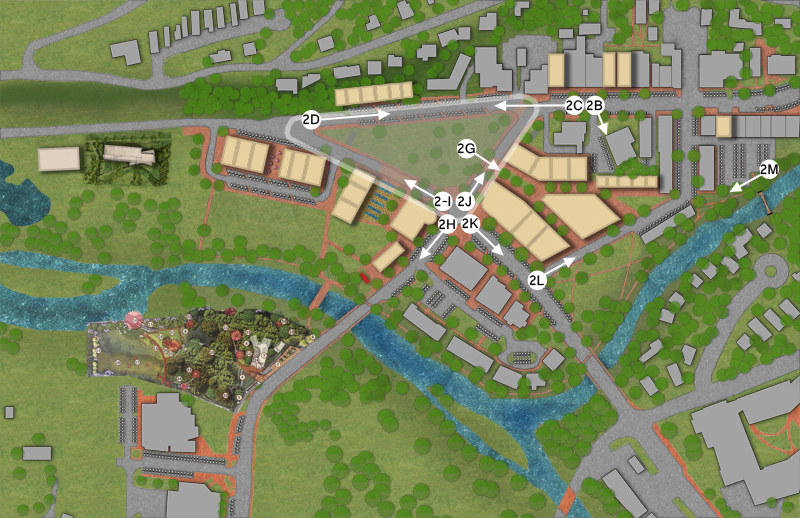 During the spring and summer of 2015, the Planning and Zoning Committee reviewed the DAAC concept map and focused its efforts on downtown redevelopment planning. Lately, the P&Z has been working on revising some zoning language and amending the Town’s Master Plan to include redevelopment goals. Other considerations are revisions to the Town’s Housing Guidelines and the Two Rivers Road Greenway Master Plan. The revisions and amendments will be considered by the Town Council and upcoming public hearing agendas for these items will be posted on the Town’s website.